On 16 January, Brg. Mohammed al-Ghosri, who was last week promoted by the GNA Minister of Defence (MoD) from Head of the BM Operations Room to MoD spokesperson, announced that more than 2,500 bodies of ISIS fighters had been collected from Sirte. He added that hundreds of other bodies may still be under the rubble. 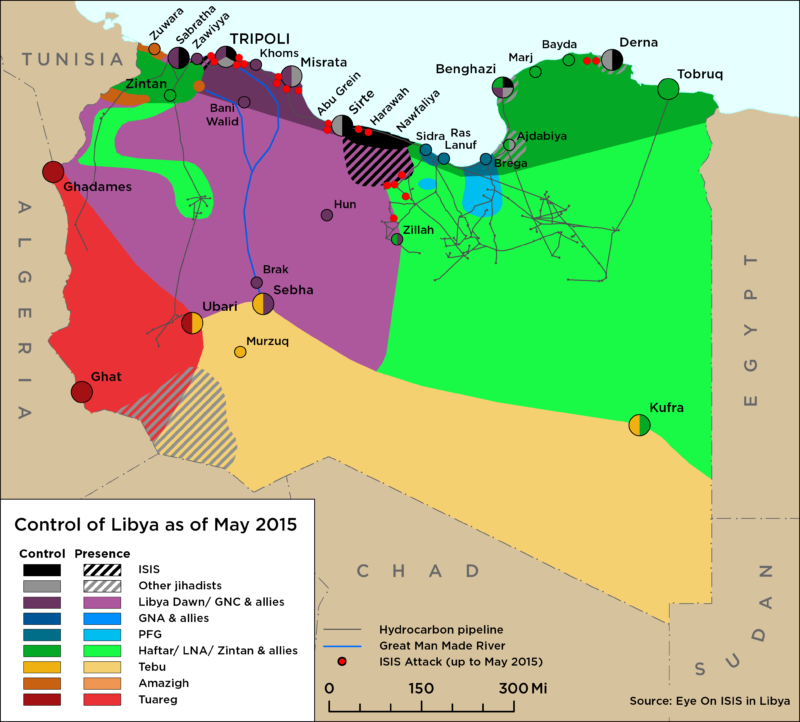 Ghosri said that no ISIS members escaped from Sirte during the 8 month siege of the city by BM forces. He concluded that those ISIS fighters who are currently regrouping south of Sirte and in southern Libya were already located out of the BM control perimeter when the Sirte operation began. Ghosri also said he thinks that ISIS proliferation in southern Libya is a real threat, and that a major war in southern Libya is possible if the political situation in Libya remains in limbo. 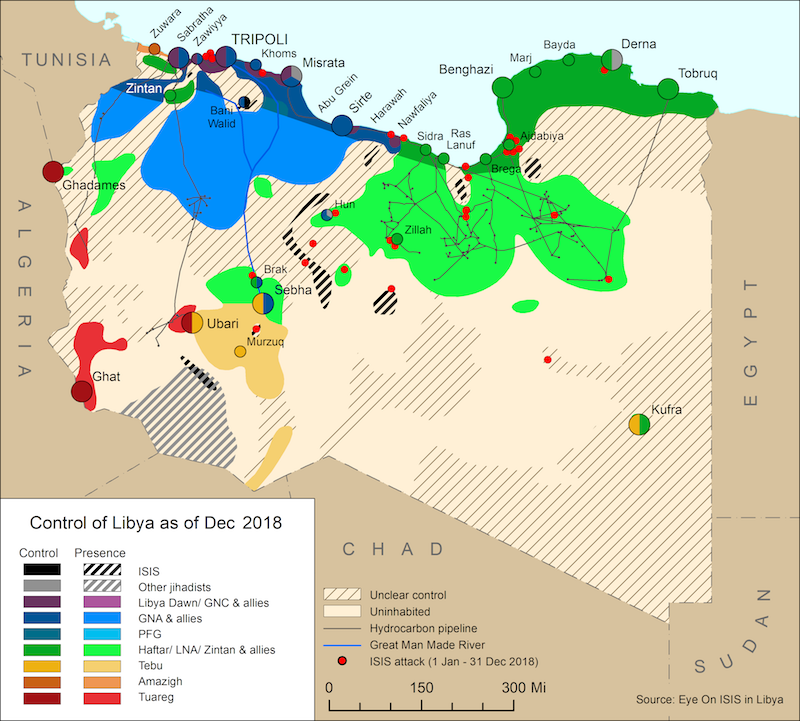 On 16 January, the 604 militia, which controls Sirte and is affiliated with the UN-backed Government of National Accord’s (GNA) al-Bunyan al-Marsus (BM) Misratan-led forces, warned that Islamists and militias loyal to the Muslim Brotherhood are planning to cause instability in the city. The 604 brigade claimed Islamists plan to use Sirte as a launch pad for a new offensive against the Libyan National Army (LNA) in the oil crescent. They threatened to take the war to these Islamist forces in Sirte and Jufra. The 604’s fighters mainly belong to the anti-ISIS Salafist denomination and are said to be closer to Haftar’s camp than to his rivals in western Libya. On 17 January, LNA forces in Nawfaliyah, a town west of Sirte, captured Emhemmed Emrajaa al-Hamali, a senior Libyan ISIS commander from Sirte. Al-Hamali was taken by the LNA, along with his son, to Grenada prison in Benghazi. Al-Hamali was reportedly responsible for attacking Sirte’s Ibn Sina hospital and the Man Made River station. He had been appointed in 2012 to head Sirte’s Supreme Security Committee branch, which became a cover for Ansar al-Sharia in the city. On 17 January, a convoy of 4 ISIS vehicles reportedly set up a checkpoint along the Man Made River network route at Wadi Bey. A fuel tanker was obstructed, hijacked and transported to an unknown location. The same day, an unexploded IED was found by the bomb disposal unit in Sirte’s first residential area. They successfully defused the device. A suicide belt was also found in one of the farms in al-Gharbiyat area and safely detonated.